The Federal Government of Nigeria through the Federal Ministry of Education through the Federal Scholarship Board (FSB) offer the Bilateral Educational Agreement (BEA) Oversea Scholarships to Nigerian undergraduate, masters and doctoral students. Following the initial announcement and publication of the Federal Ministry of Education Overseas Scholarships for Undergraduate, Masters and PhD Nigerian Students, several Nigerian students have applied, and the Scholarship Board has received these applications. However, the Federal Ministry of Education through the Federal Scholarship Board (FSB) URGENTLY announces to the general public a change of the originally published venues and date of interview for the Bilateral Education Agreement (BEA) scholarships as below. 1). 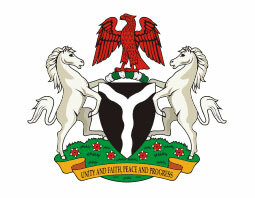 As part of measures to improve efficiency and integrity of the selection processes, the Federal Scholarship Board, Federal Ministry of Education has adopted the Computer Based Test (CBT) for the conduct of the 2018/2019 Bilateral Education Agreement (BEA) nomination interviews. 4. To afford candidates adequate time for adjustment, the dates for the interviews have been shifted from February 19th - 23rd to February 23rd and 24th 2018. 5. The applicants are to present themselves for screening and documentation from 9.00am on Thursday February 22nd at each venue and only cleared candidates will be admitted for the interviews.